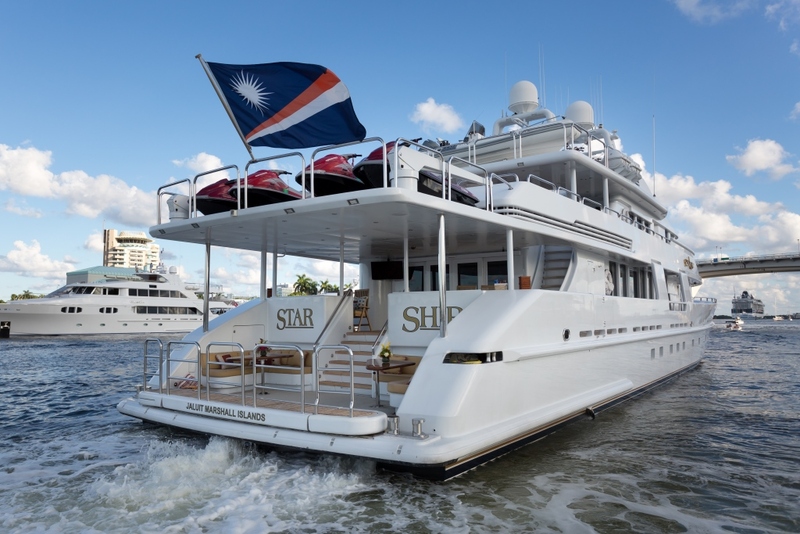 Luxury motor yacht Starship was very a very popular charter yacht and then later has undergone a multi-million dollar total refit – she now looks even better than new. 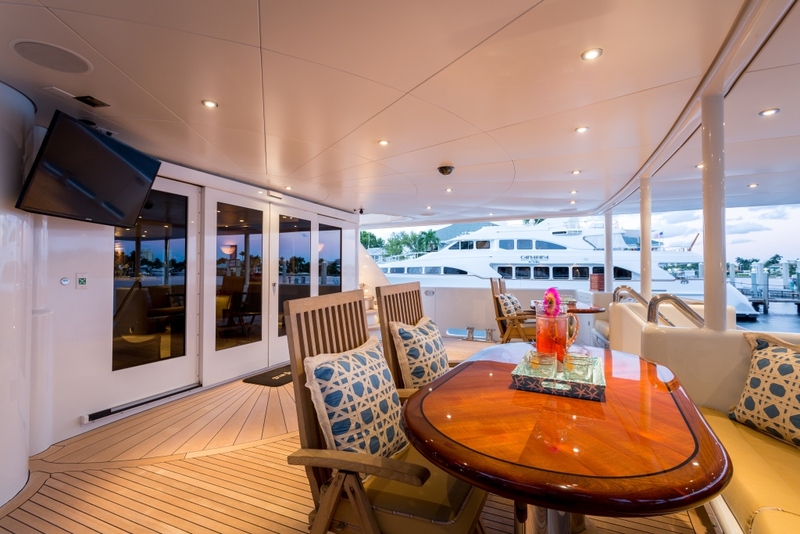 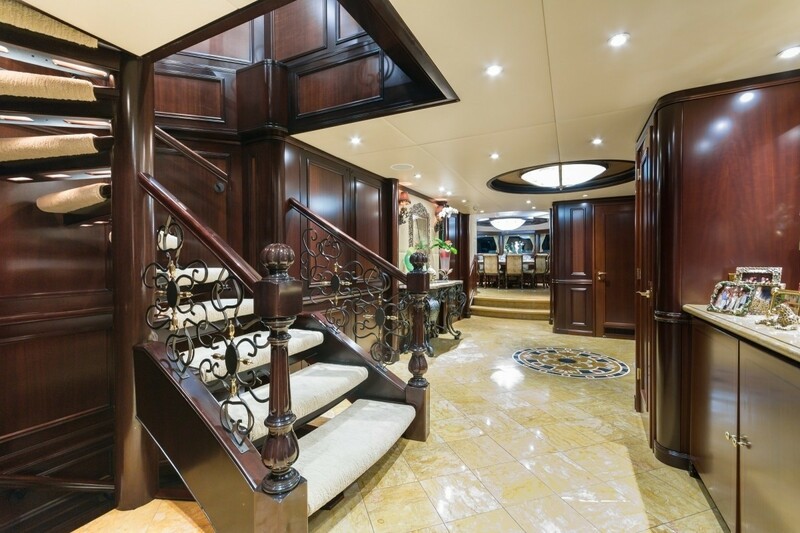 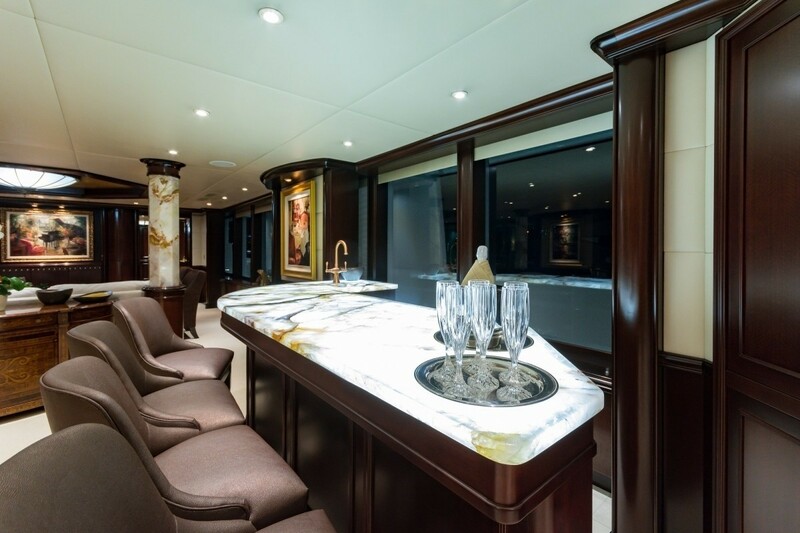 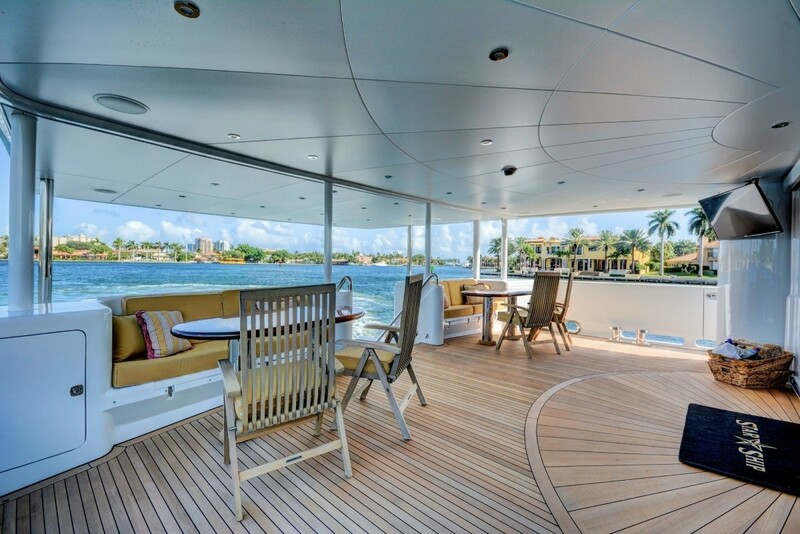 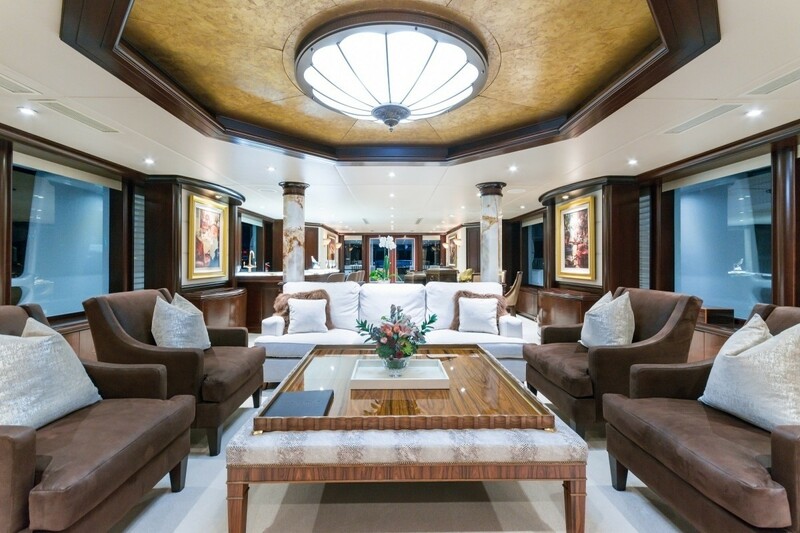 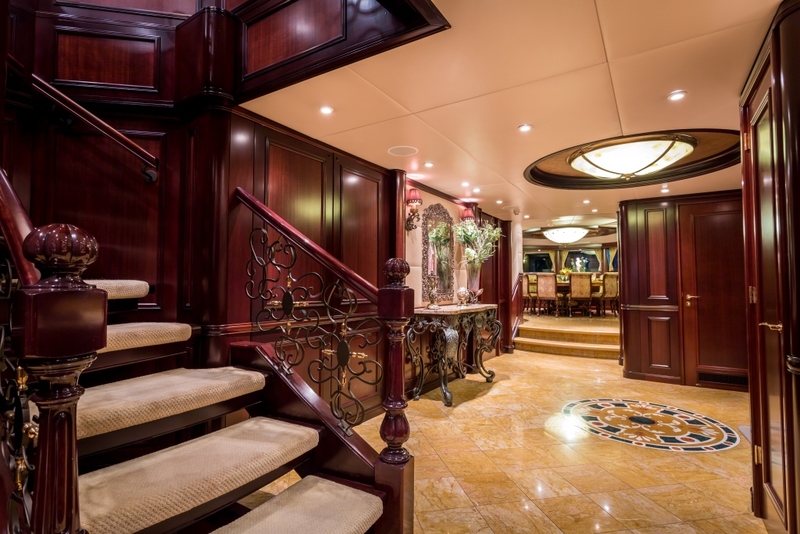 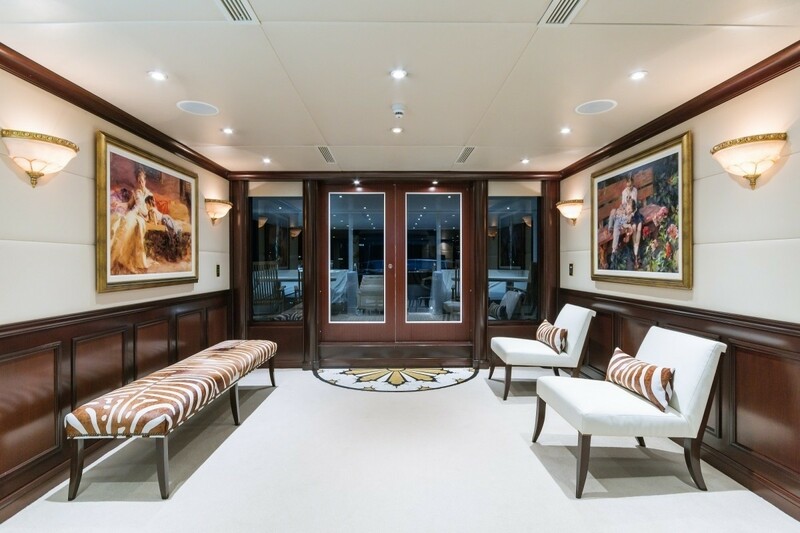 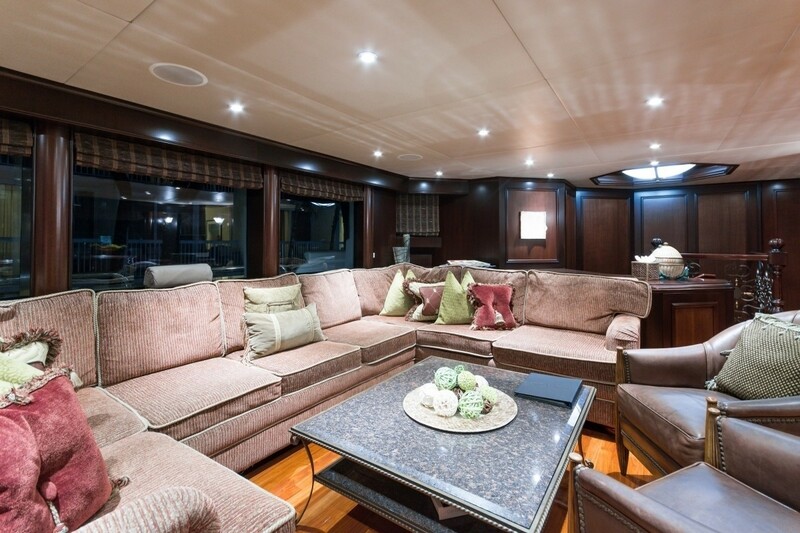 M/Y Starship’s interior has been completely refurbished and remodeled to produce a stylish warm and modern interior. 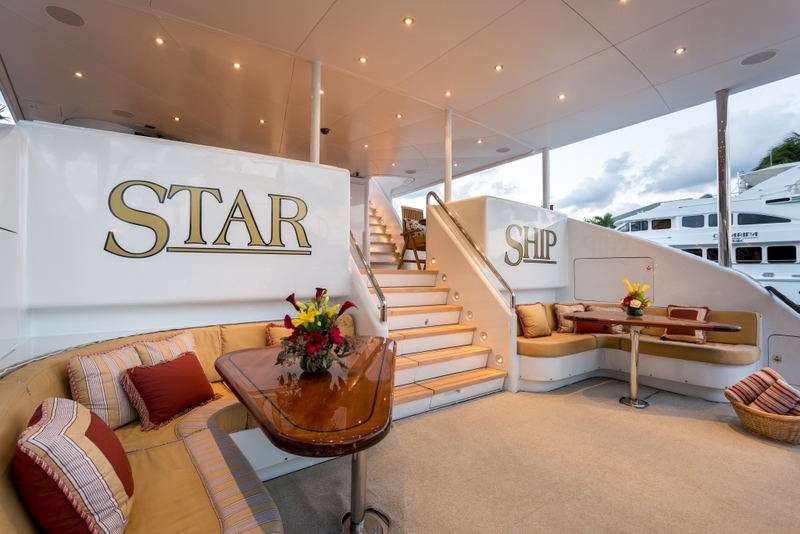 Luxury Motor Yacht Starship is a stunning and classic cruising yacht with vast areas for either entertainment or relaxation. 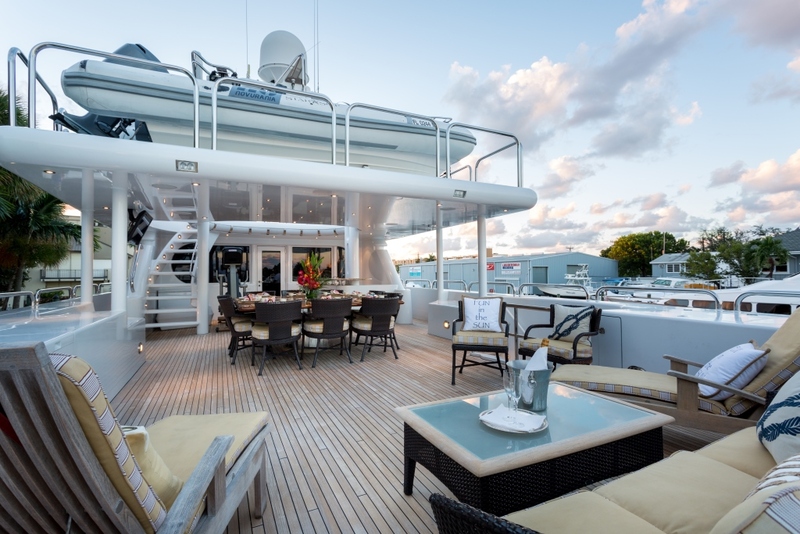 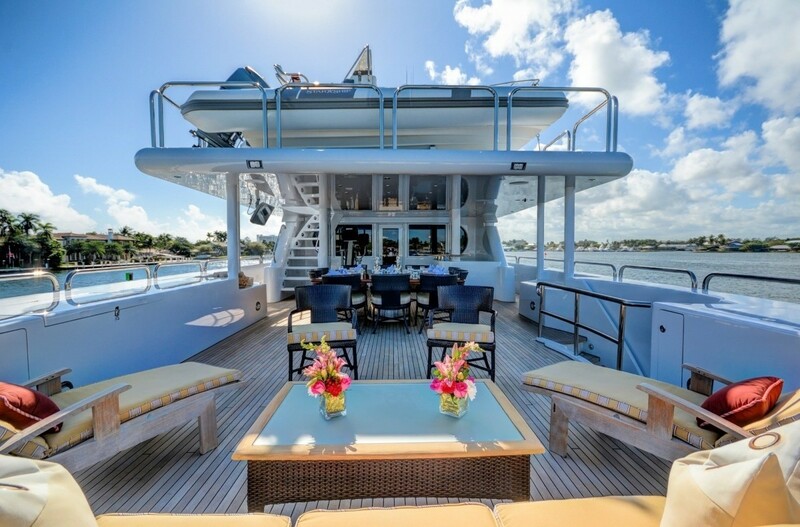 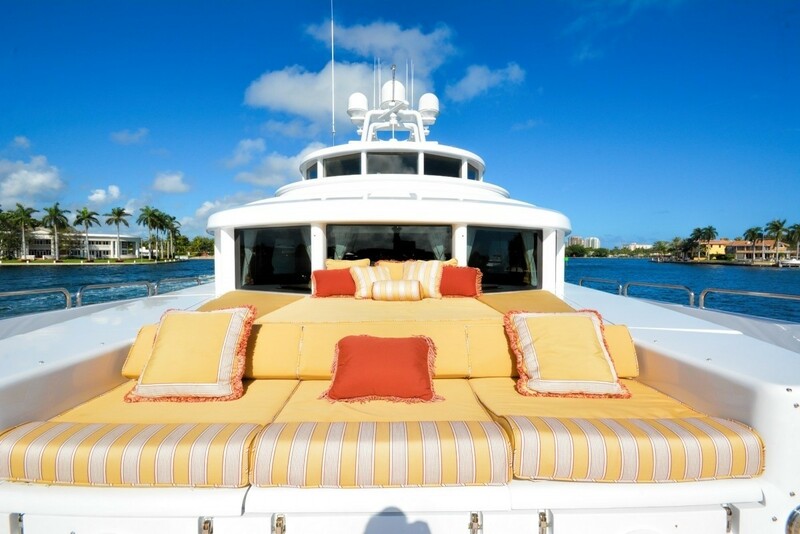 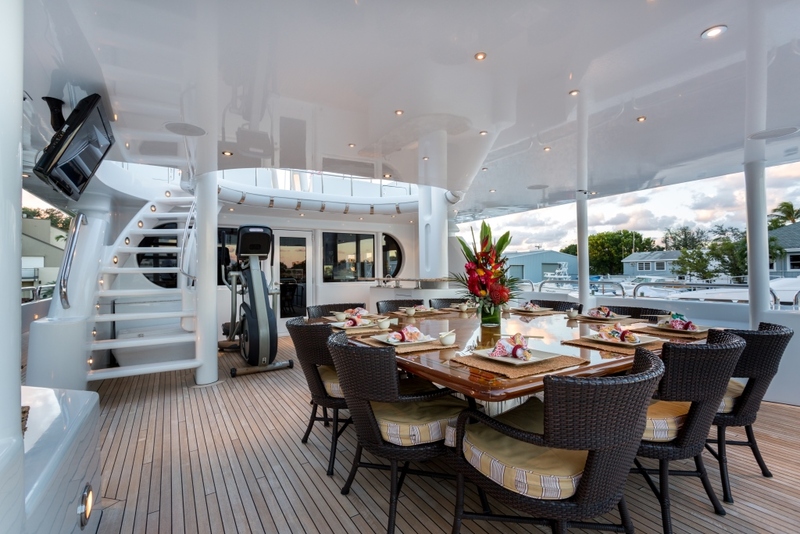 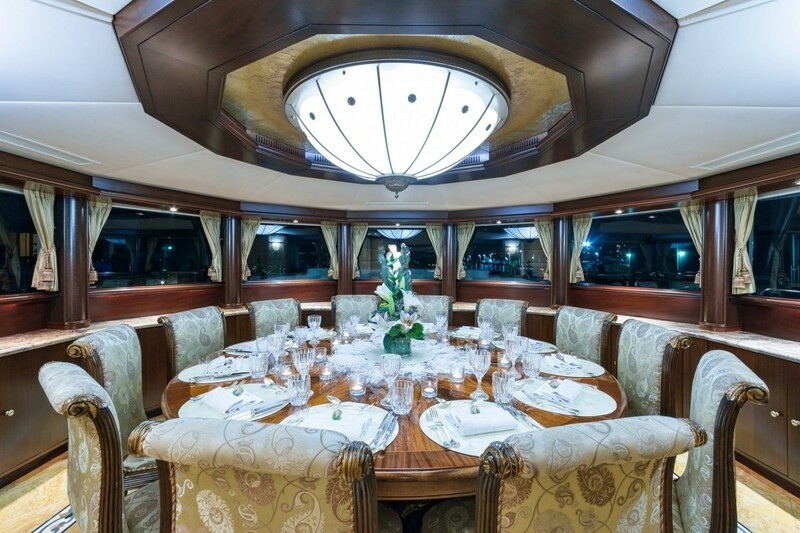 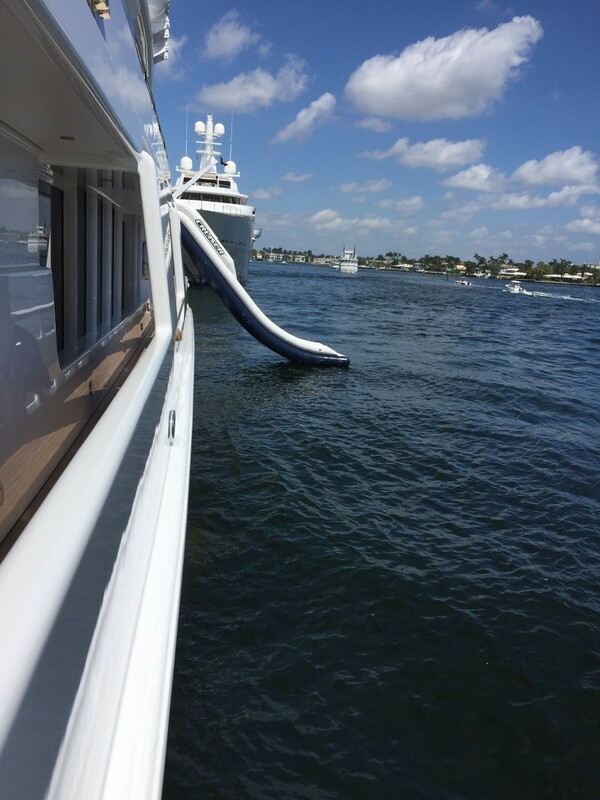 The yacht offers three casual dining areas, one formal dining area and a full bar, so luxury motor yacht Starship is an ideal charter boat for entertaining. 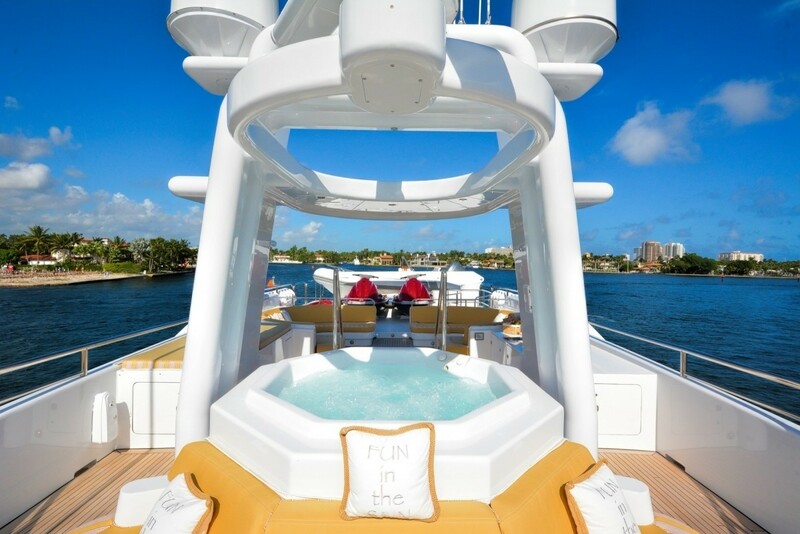 You can enjoy the superior views from the sun deck whilst relaxing on the sun pads or while enjoying the Spa Pool. 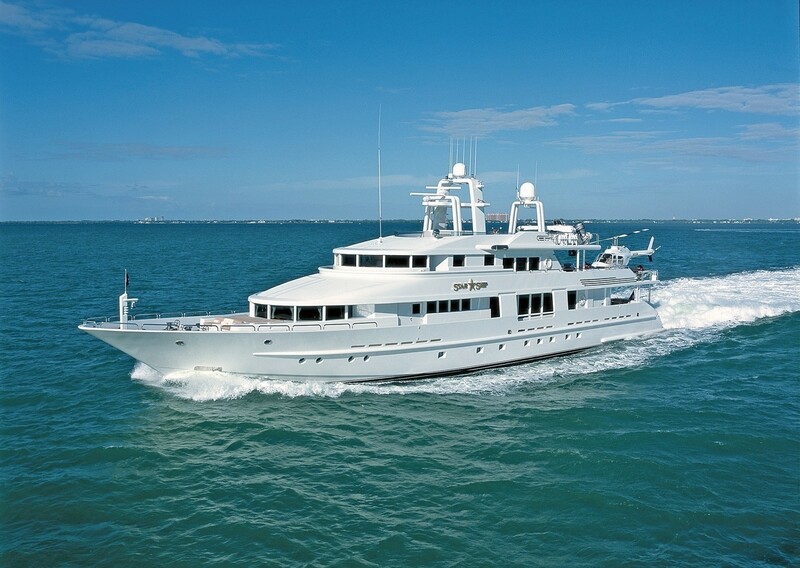 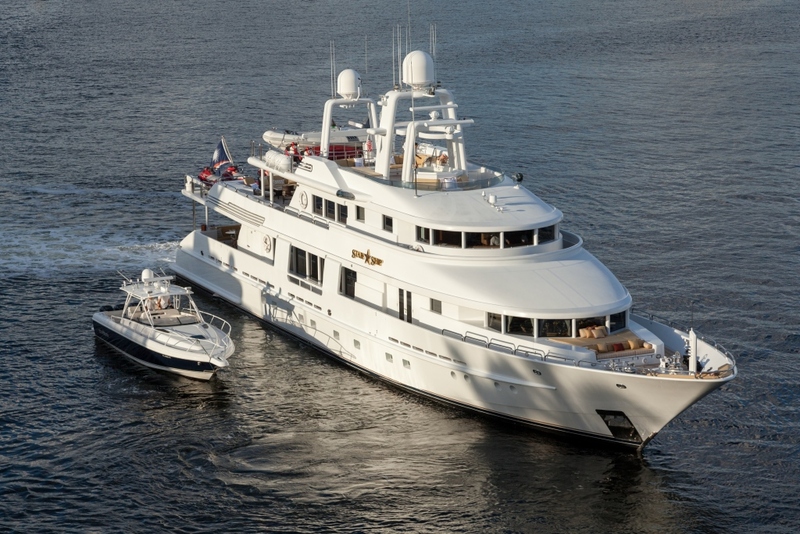 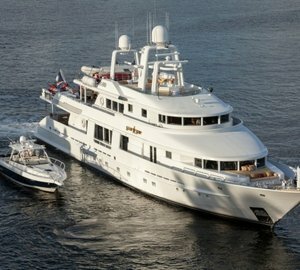 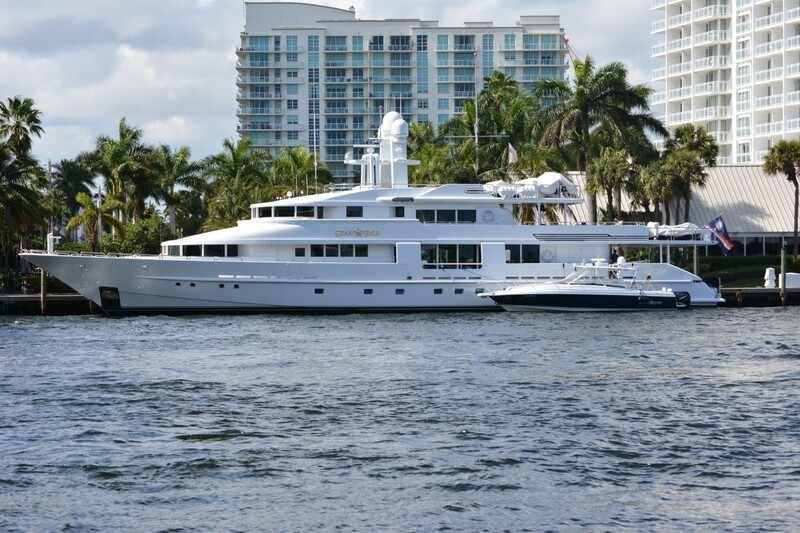 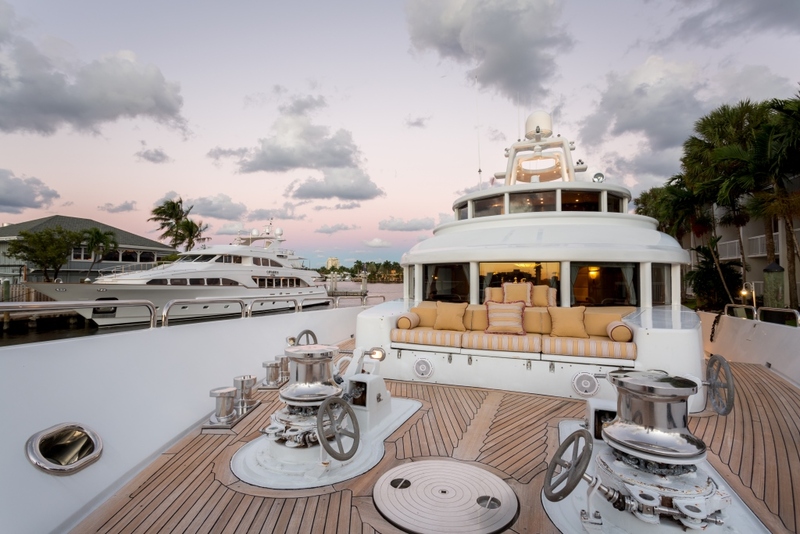 M/Y Starship offers many features including a gym and full entertainment facilities. 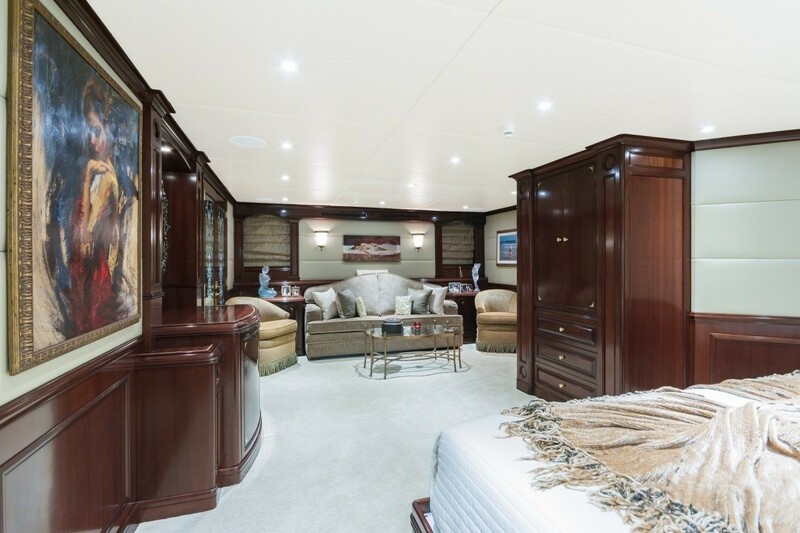 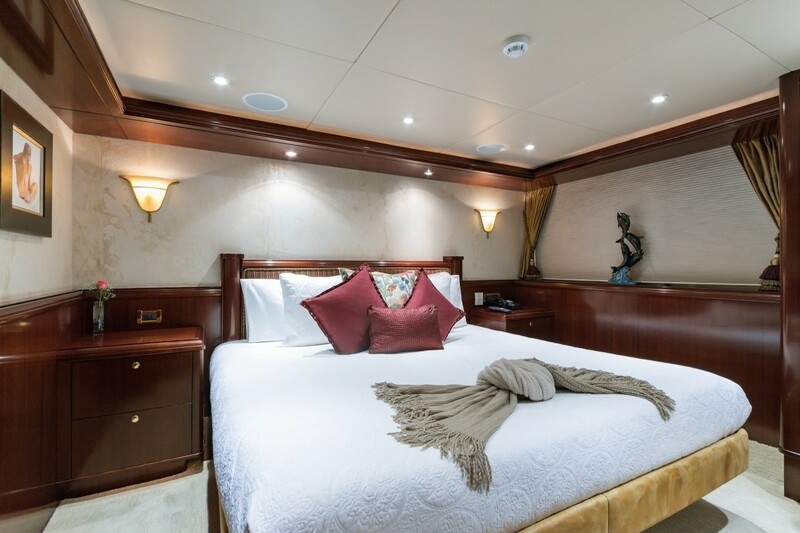 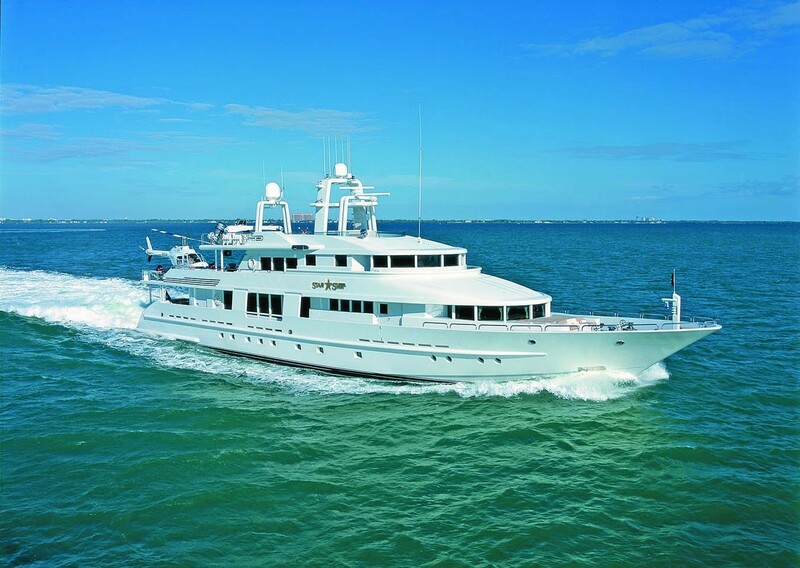 Luxury Motor Yacht Starship can comfortably accommodate 11 guests in five spacious staterooms all with en-suite facilities and full entertainment facilities including TV/DVD/CD players. 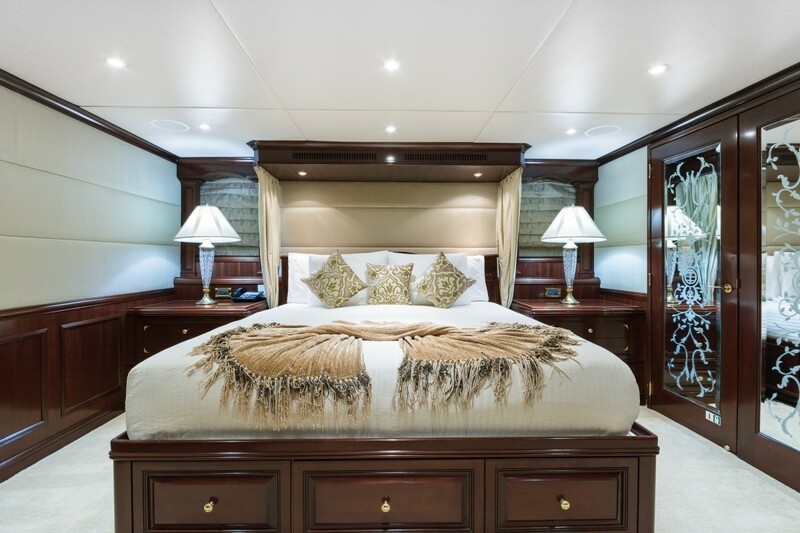 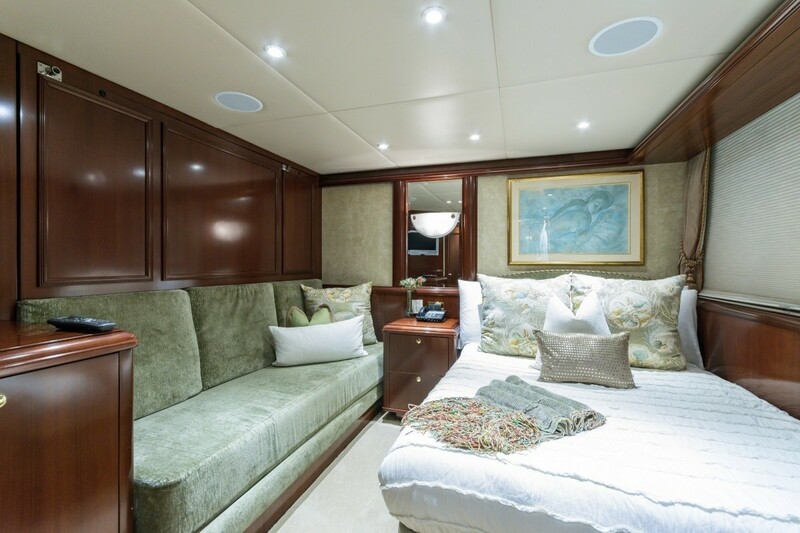 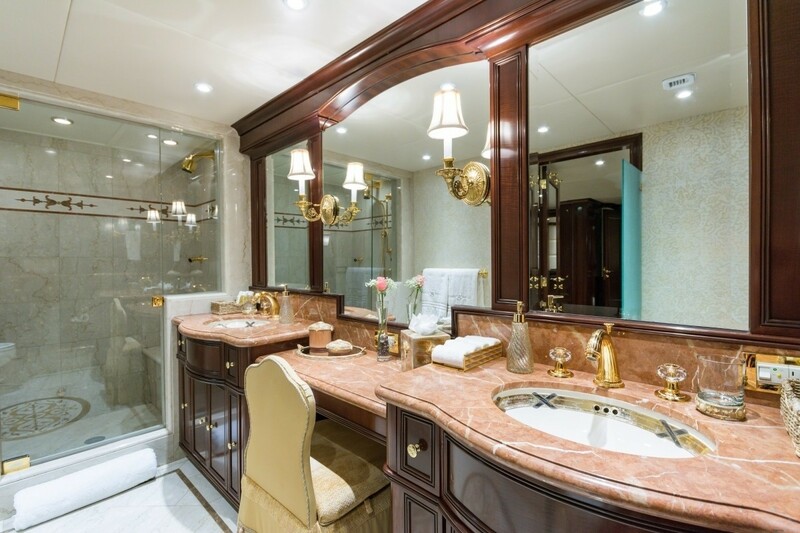 Her main master stateroom has a king size bed, a walk-in closet, an en-suite bathroom with shower and a 30” flat screen TV/DVD&CD as well as a comfortable sitting area. 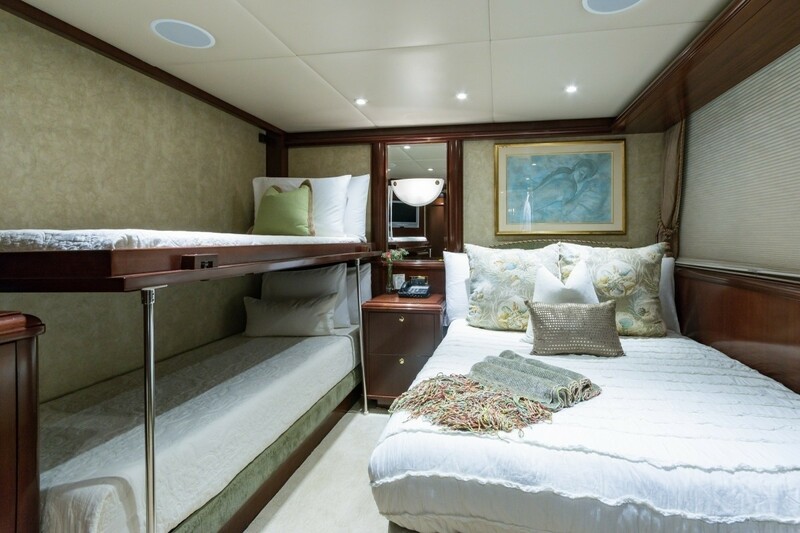 She also has a further 4 guest staterooms; two with king sized double beds, one with a queen (with Pullman) and the last with twin beds. 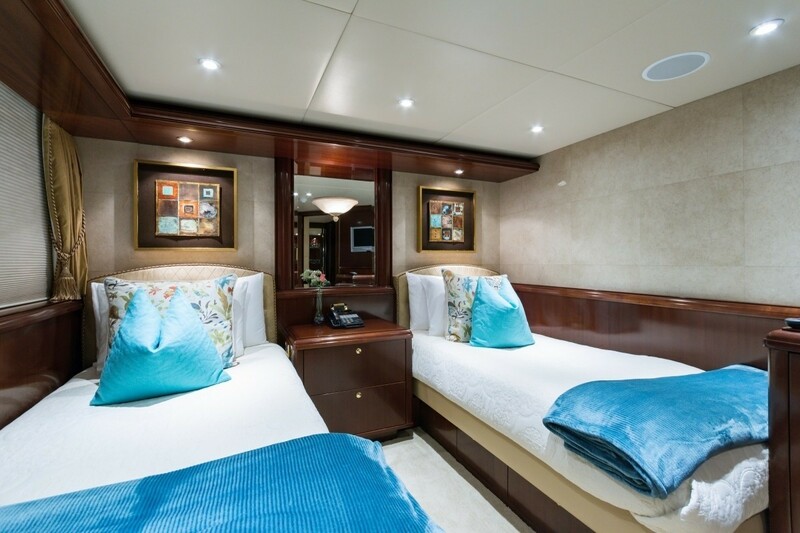 All the guest cabins have full electronic entertainment, including 22’ flat screens.